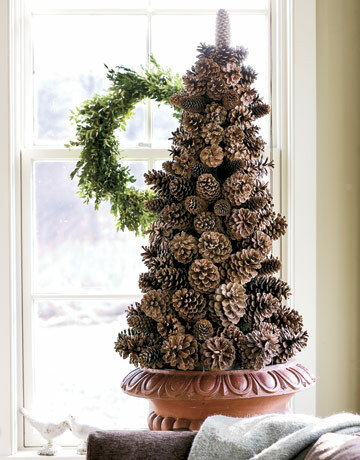 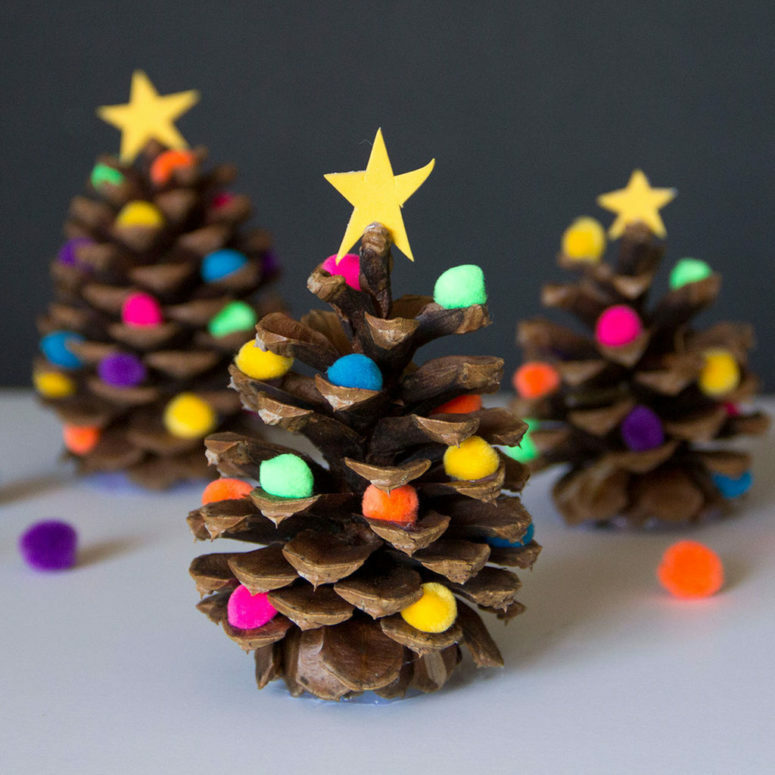 A pinecone tree is always great idea for a craft project. 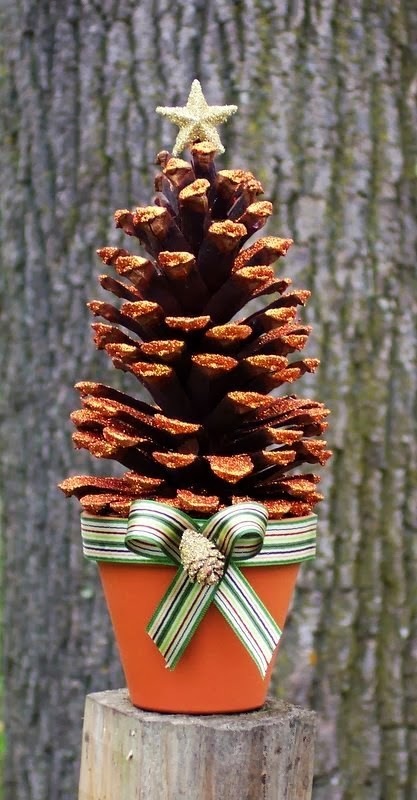 Besides it helps to make transition from fall to winter easier. 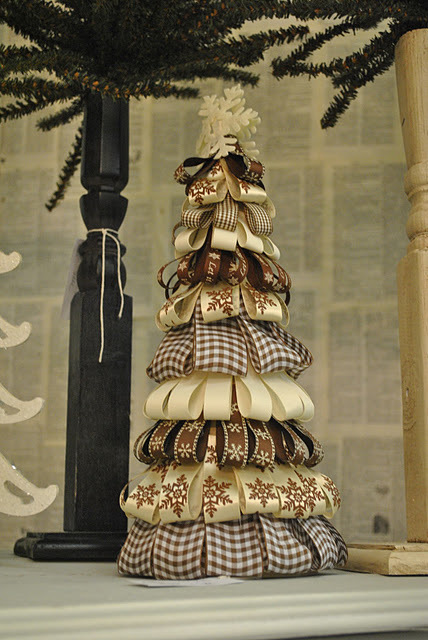 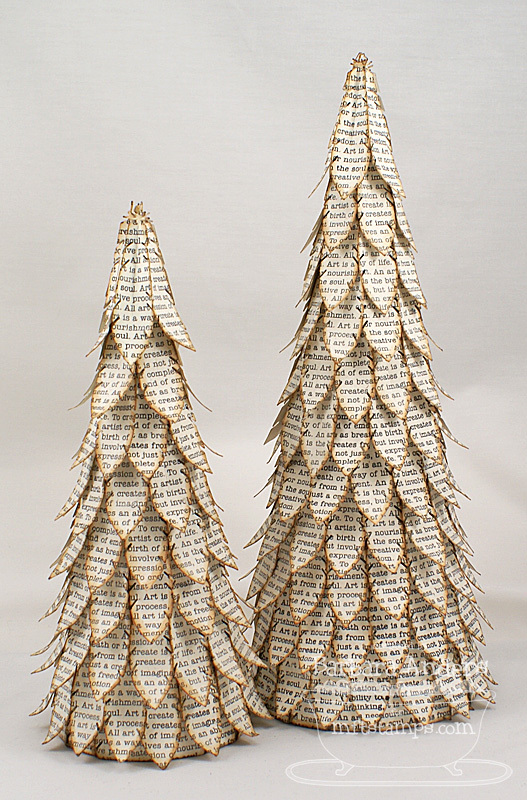 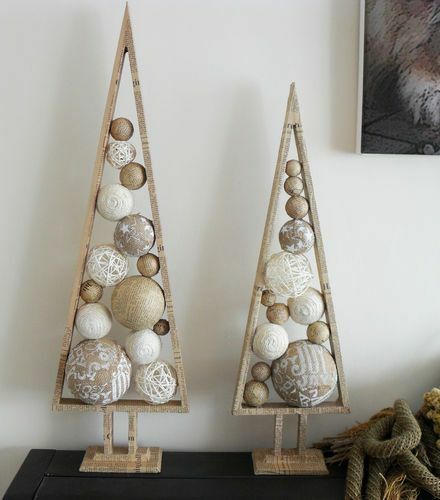 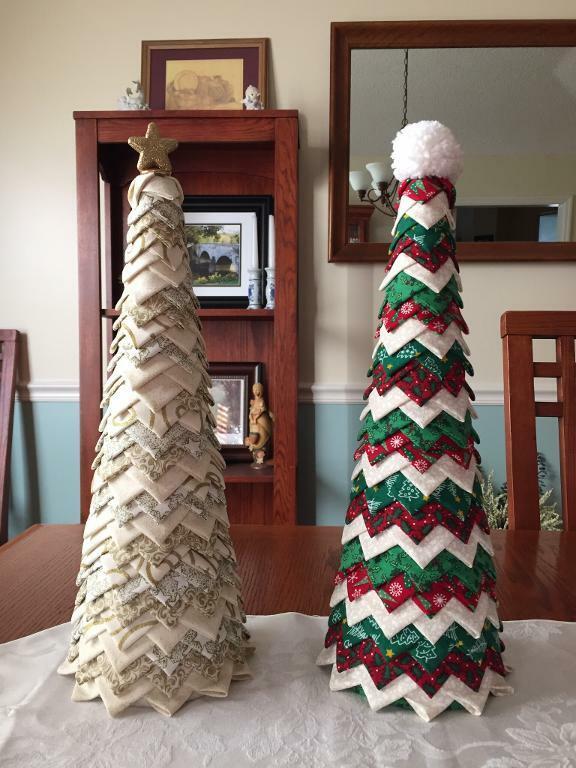 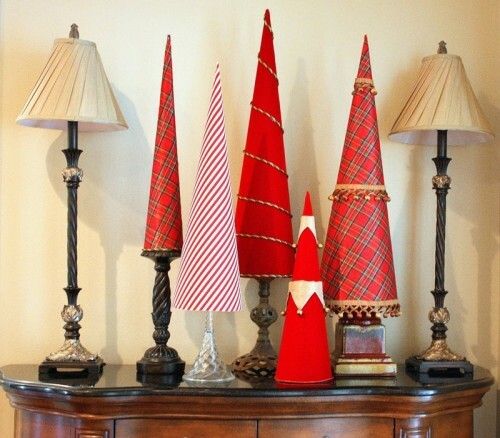 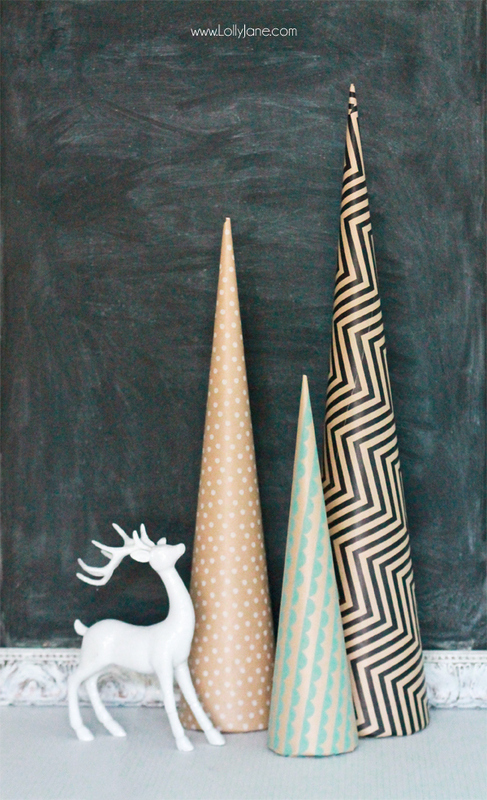 Fabric covered poster board tree cones in different height looks great together. 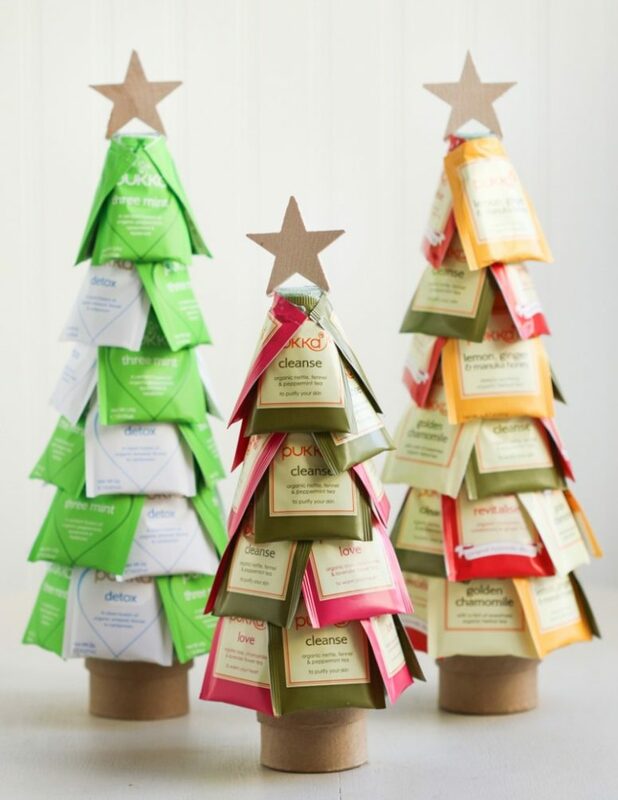 Tea trees is kinda fun, cheap and easy to make. 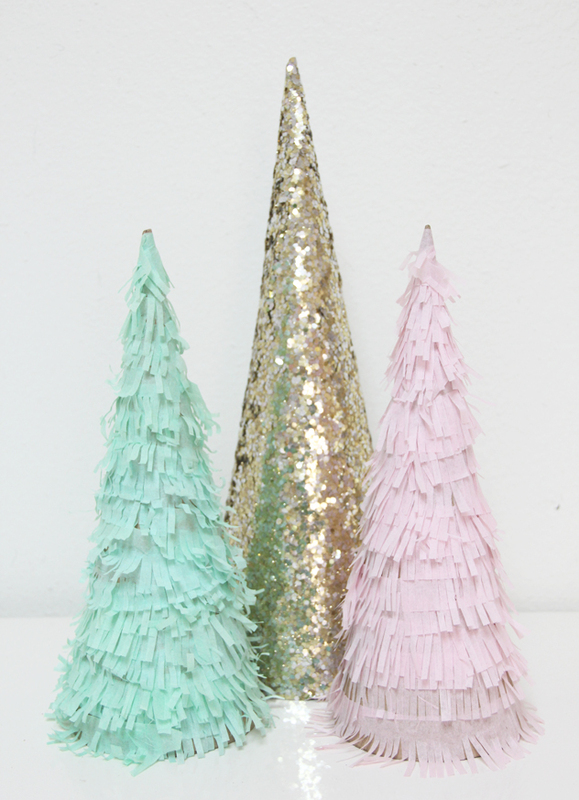 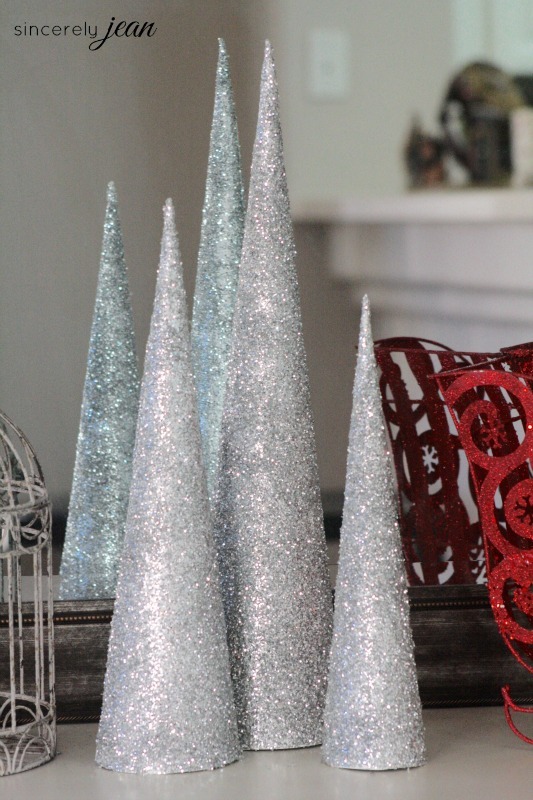 DIY glitter cone Christmas trees aren't hard to make but they definitely could add a sparkle to your holiday decor. 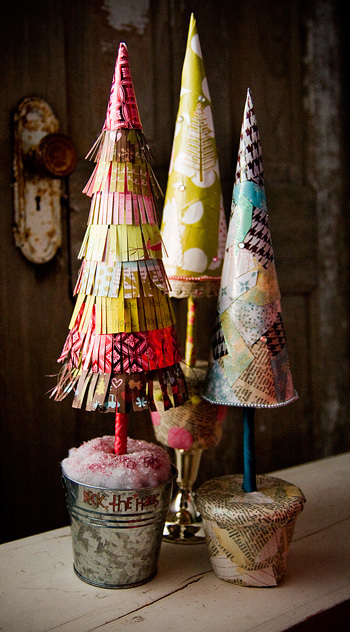 Recycled cardstock and old Christmas cards glued to the cardboard cone would become a perfect addition to your kid's room decor. 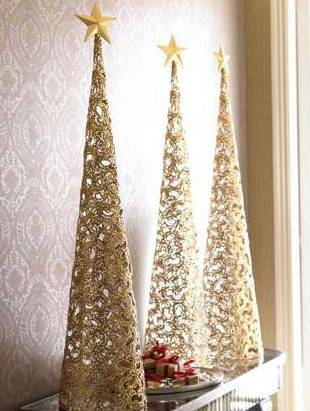 Using holiday wrapping paper or patterned scrapbooking paper you could make large cone-shaped festive trees fairly quick and easy. 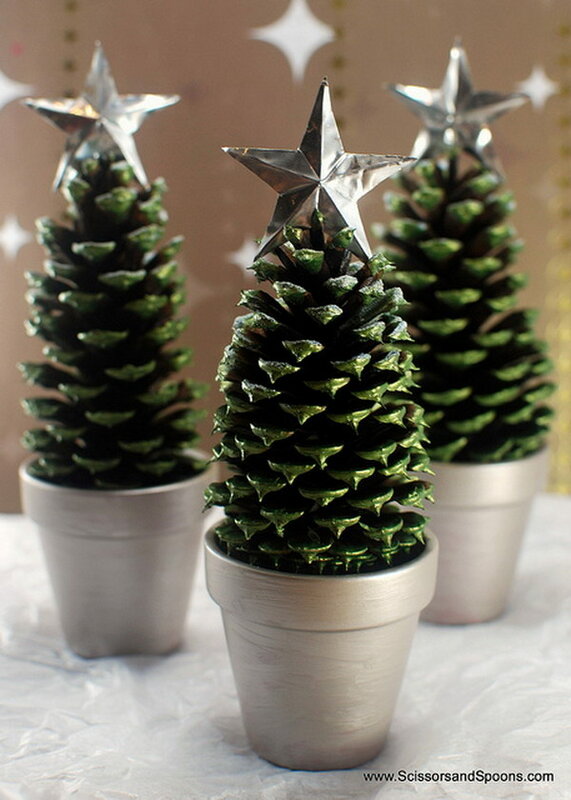 Even a single pine cone could be painted in lovely green shade and topped with a star to become a cute tiny Christmas tree. 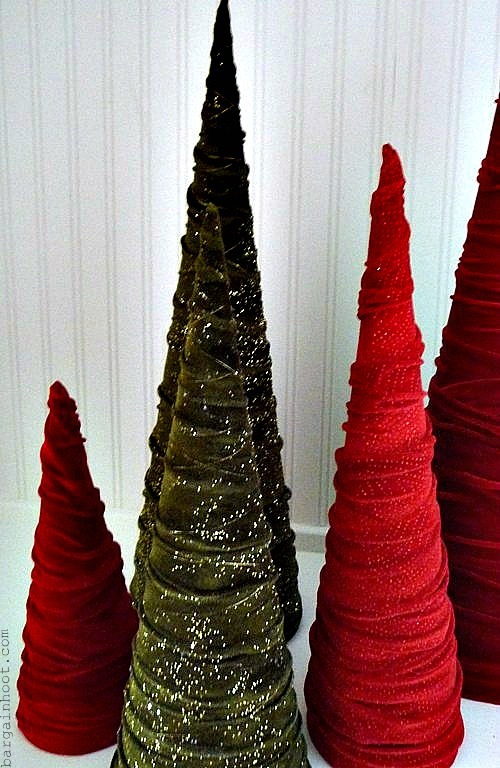 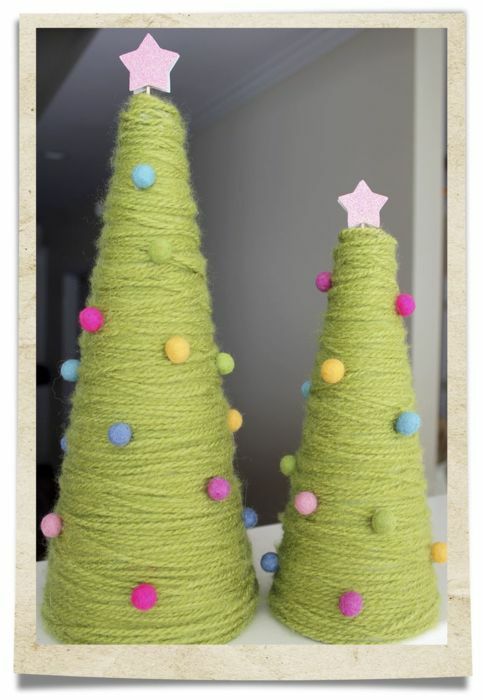 Velvet cone Christmas trees are easy, quick and super cheap to make. 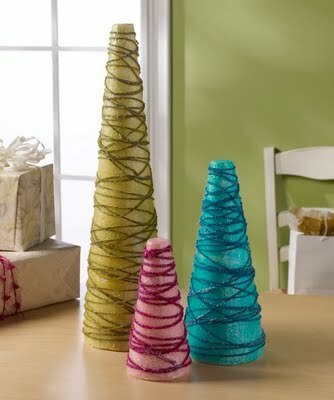 Use a variety of bright colors if you want to make your decor fun. 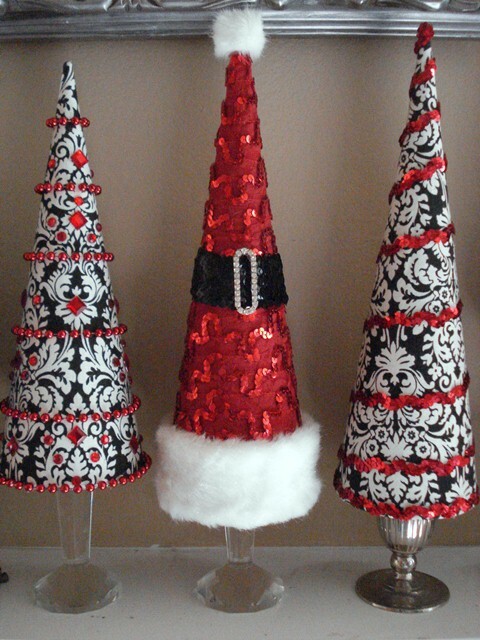 Add some black to traditional Christmas colors. 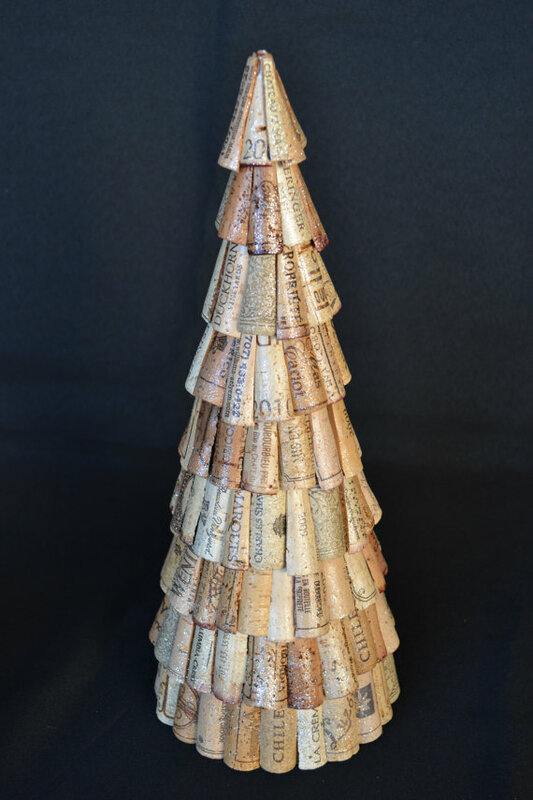 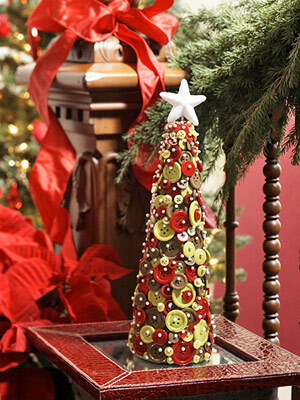 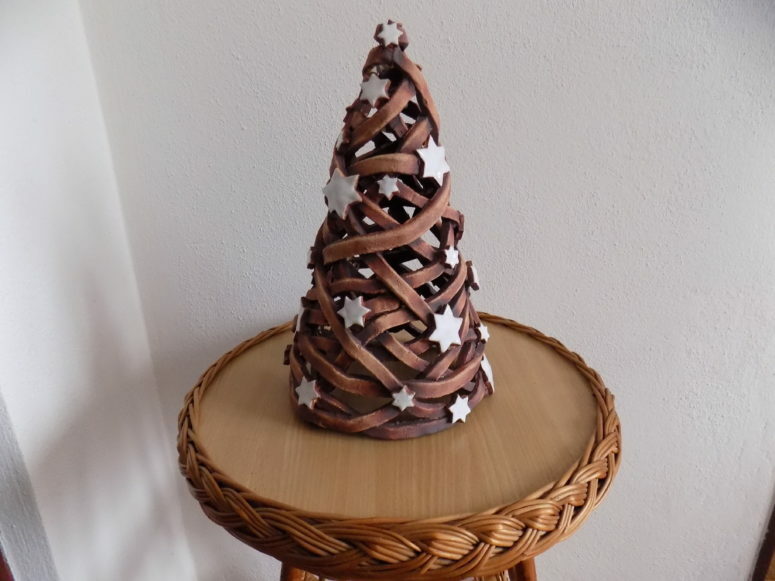 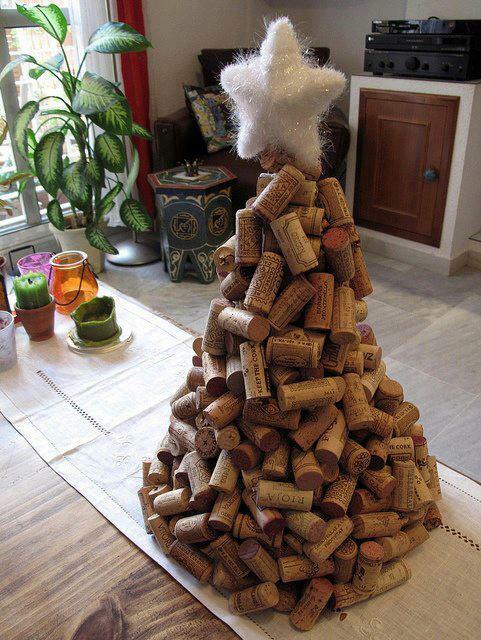 You can even make tabletop Christmas trees from wine corks. 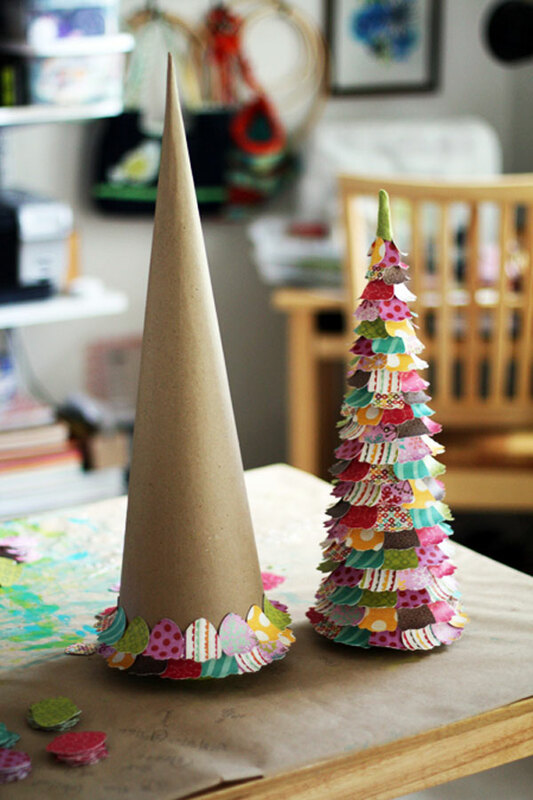 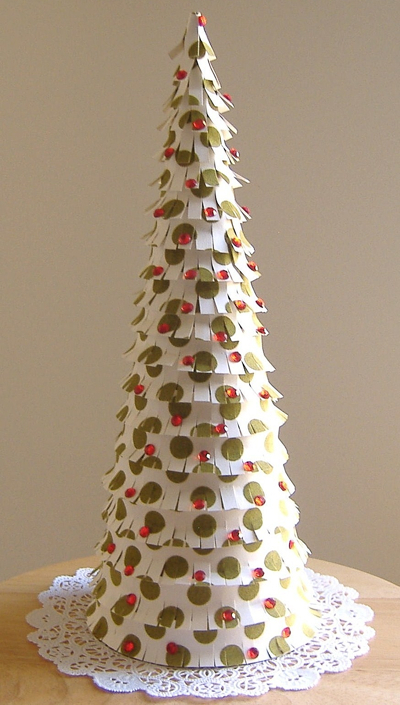 Paper cone Christmas trees is an expensive holiday craft project. 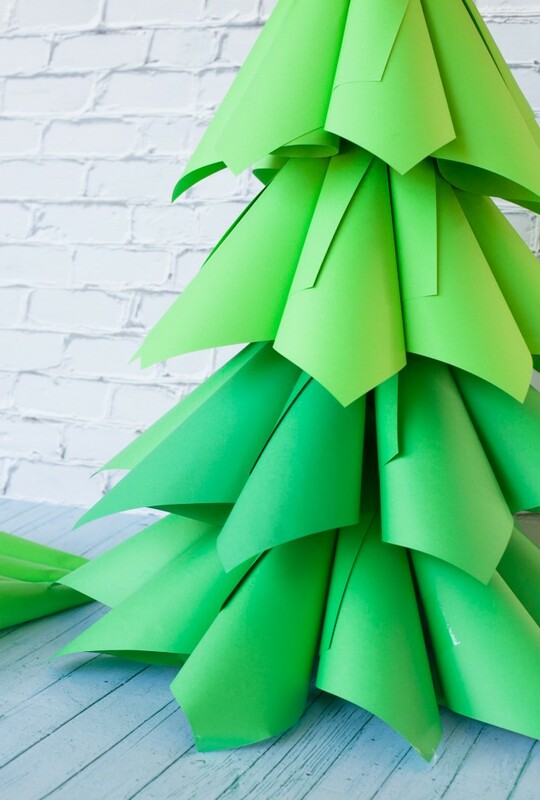 All you need is a few packs of paper and a bow. 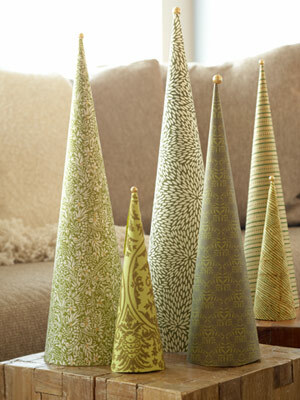 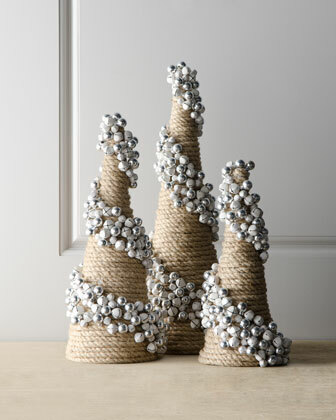 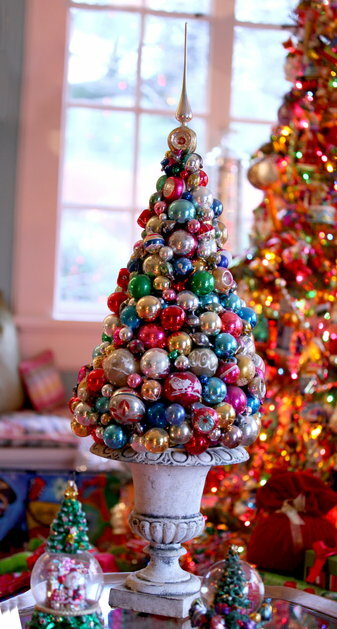 Styrofoam cone, glue and Christmas ornaments would become a perfect holiday tabletop topiary. 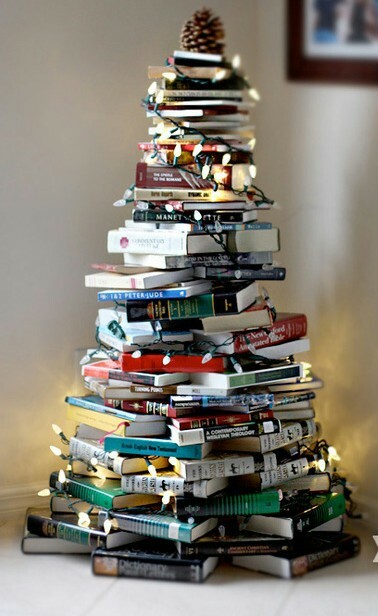 A great idea for a book lover. 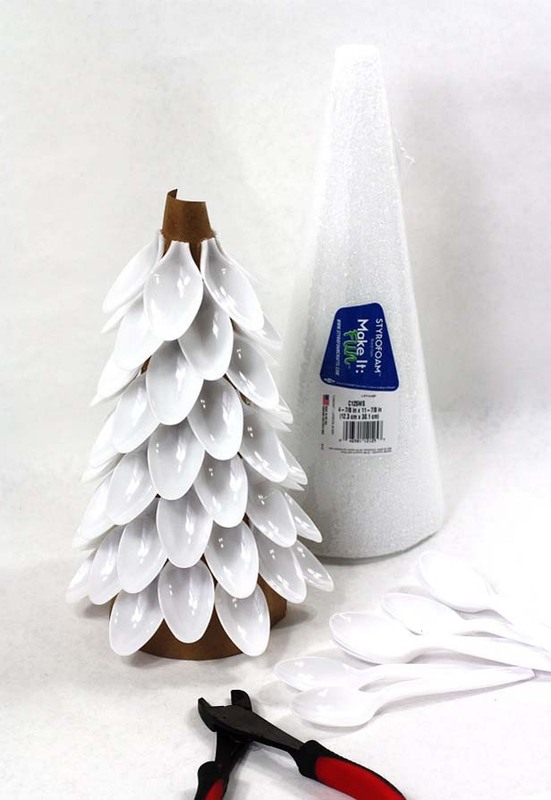 Plastic spoons glued to styrofoam cones could look quite festive too. 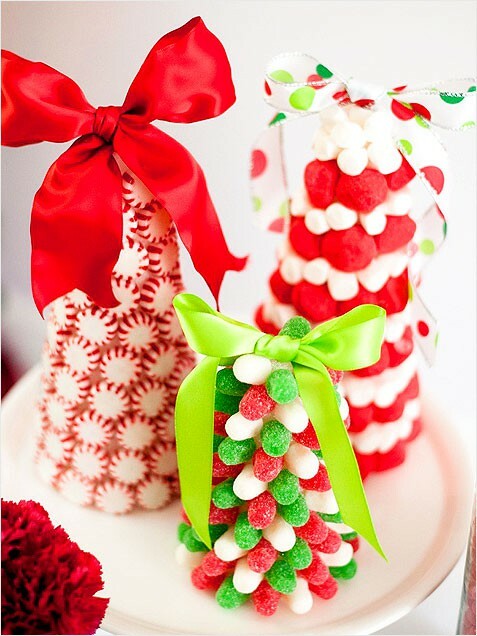 Candy Christmas trees are super colorful and cool. 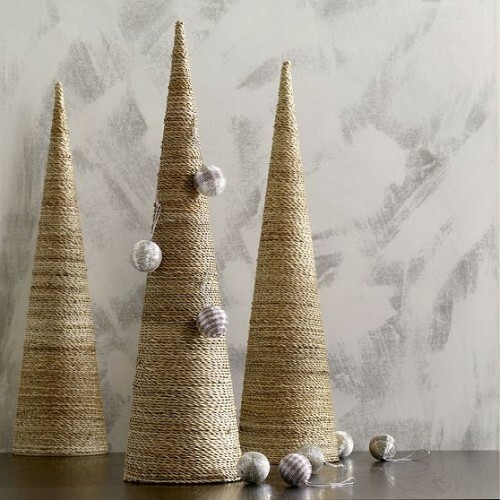 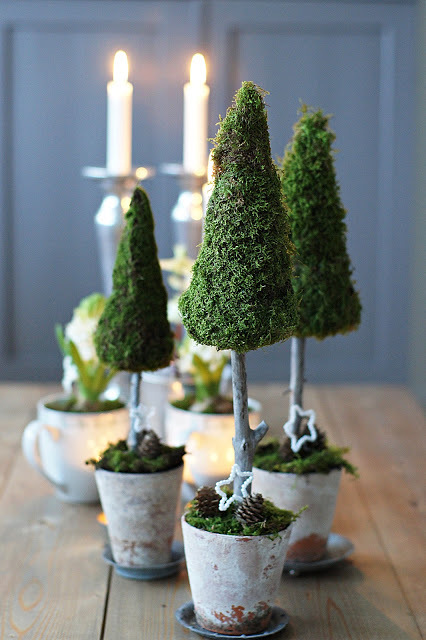 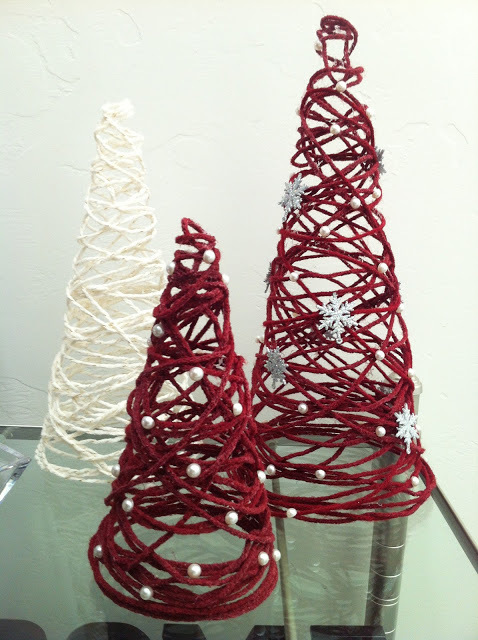 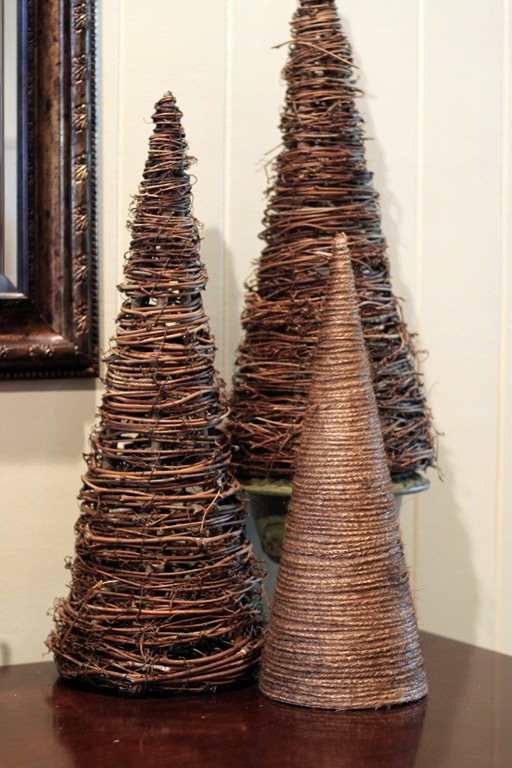 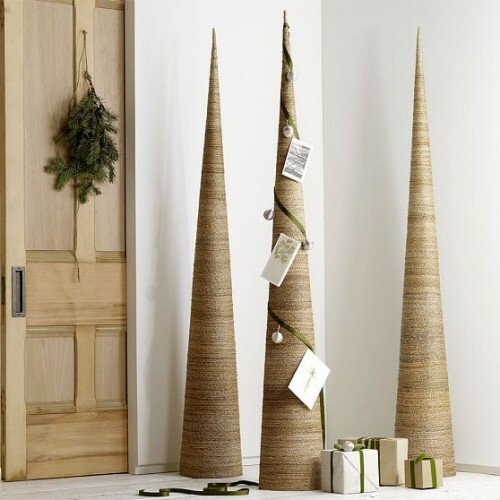 Wrap twine or twigs around a brown paper cone using hot glue and enjoy natural-looking, even rustic tabletop trees. 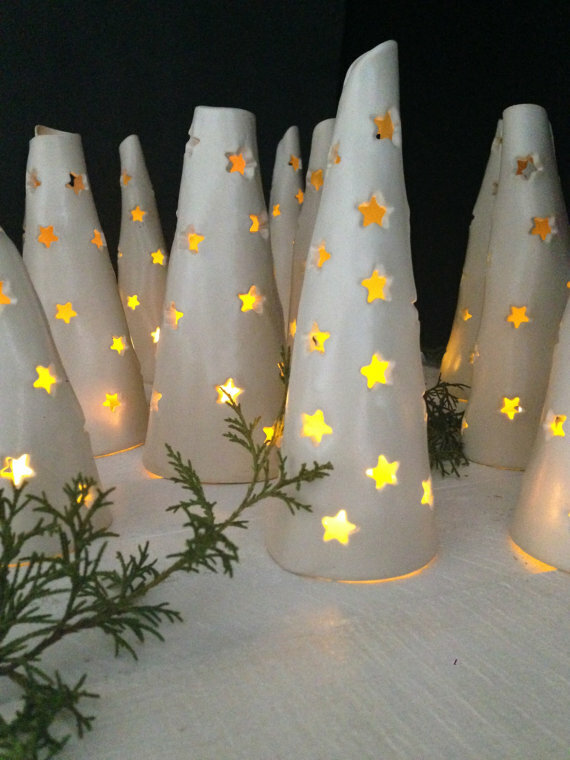 This handcrafted cone luminaries is a great example of what you can do from white stoneware clay. 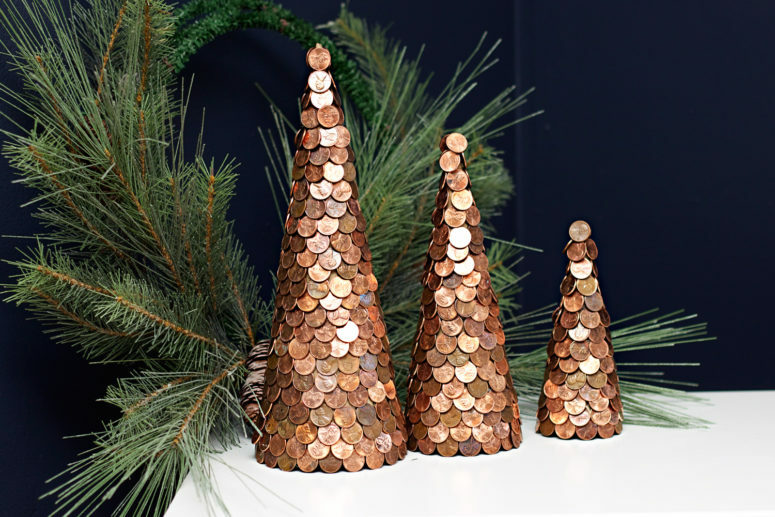 Copper isn't a traditional Christmas color but as you can see it looks quite modern and chic. 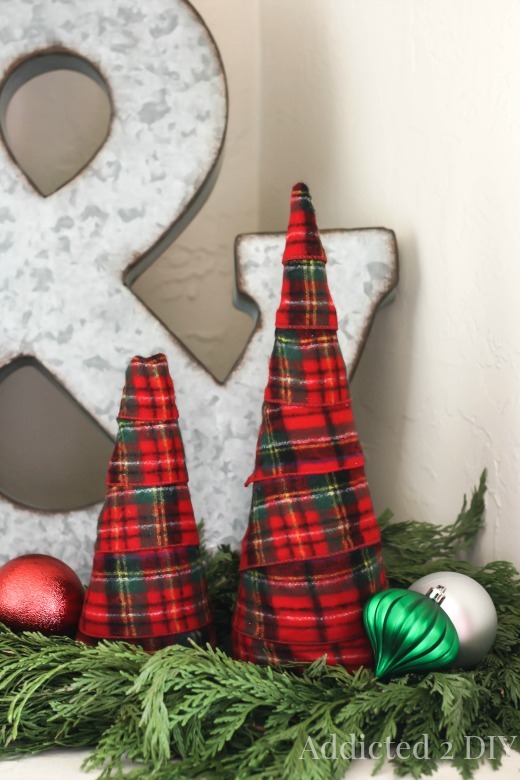 Flannel Christmas trees looks so cozy. 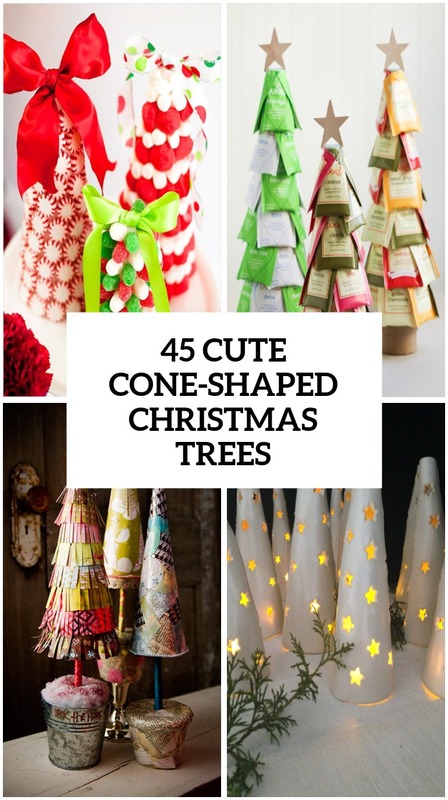 Perfect for cold winter nights. 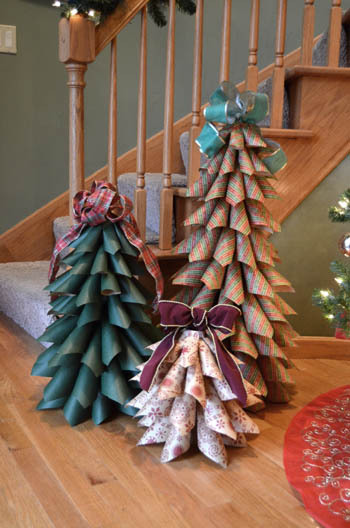 DIY ribbon trees are quite cool and flexible. 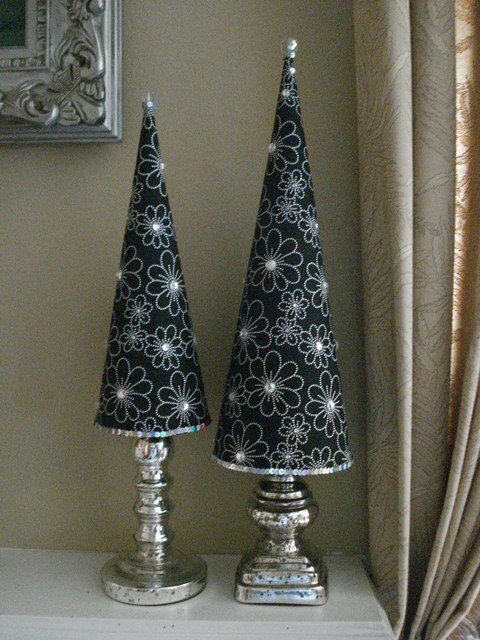 You can choose colors to match your decor. 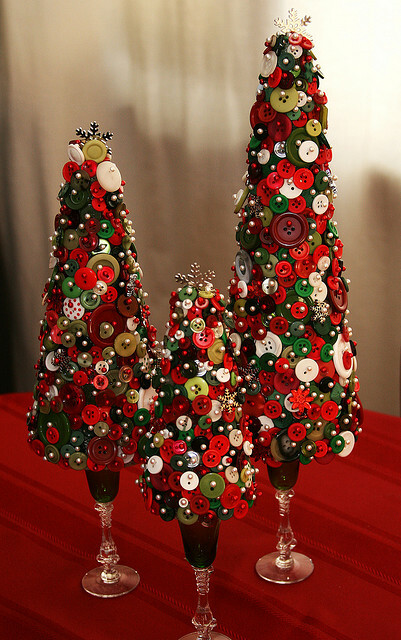 If you have lots of red and green buttons in different sizes lying around then you can turn into an awesome piece of holiday decor. 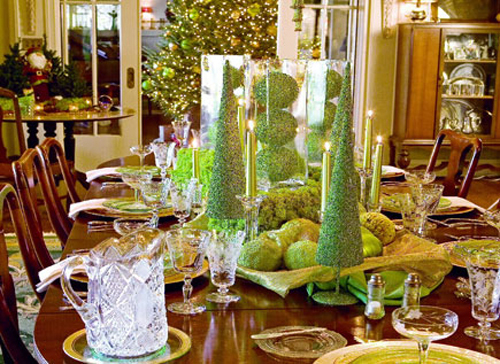 It's perfect to become the table's centerpiece.